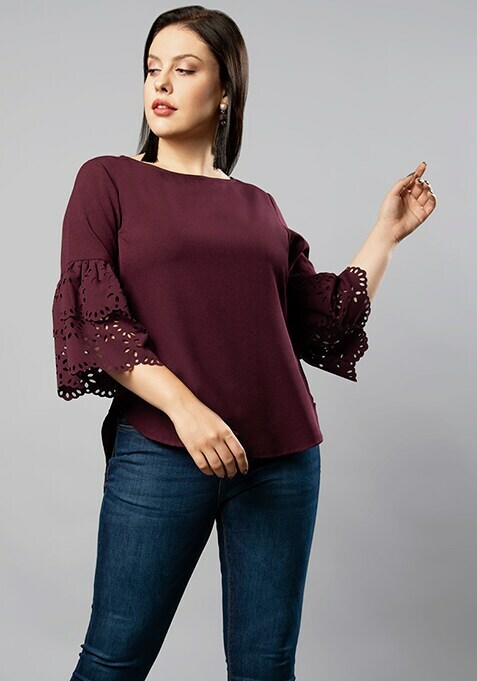 A fashion forward addition in plus size wardrobes, this wine top is equal parts chic and stylish. Features double bell sleeves with laser cut detailing. Work It: Pair it with ripped jeans and a pair of killer heels.